The world has understood: China wants to become a global power in soccer. The declared goal of the Chinese government is to hold a World Cup within the next 15 years and to win the world title by 2050. Yet it is not just this government-led soccer boom attracting foreign clubs to enter the Chinese market. China is the most populous country on earth, and the Chinese consumer is highly attracted to soccer, especially European soccer. Our data shows that as of now, 237 million people in China call soccer “my favourite sport” and, at 308 million, even more Chinese soccer consumers watch the sport at least once a week. This, already, makes soccer the number two sport in China. Only basketball is more popular in Asia’s largest economy. However, soccer is set to become the number one sport in China – thanks to government support. This opens up unimaginable marketing opportunities for local but also foreign soccer clubs. Therefore, it is not a surprise that the top three German soccer clubs, measured by financial strength, are currently conducting their Asian summer tours with a stopover and several pre-season games in China. Current German champion FC Bayern Munich is again touring through China. Borussia Dortmund is repeating its China trip from last year after having visited Japan, Singapore and Malaysia in 2015. And FC Schalke 04 has decided to return to China after a successful trip last year. Other German teams from the Bundesliga are also engaged in diverse collaborations with their Chinese counterparts. To mention a few: Hamburger SV signed a deal with SIPG, which delivers advisory services to build the club’s infrastructure for systematic youth development in Shanghai; Eintracht Frankfurt recently agreed to cooperations with the Beijing Enterprises Group and the Federation of University Sport of China (FUSC); other grassroots collaborations with Chinese clubs have been run by 1. FC Köln and Bayer Leverkusen. What appears to be the new normal was unthinkable only a few years ago. Bundesliga clubs took their time entering the Chinese Market. In fact, although Germany’s leading soccer team, Bayern Munich, has returned to China for its fifth time, it was only in 2015 that they decided to strategically invest in China. So just two years have passed since the German record champion dared to start challenging other clubs like Manchester United or Real Madrid, who have already been active in China for almost a decade in the race for the Chinese soccer fan. This late entry into the Chinese soccer market compared to their European peers has inspired us to write a Harvard Business School case study about Bayern Munich in China. Indeed, team tours and friendly games with local clubs get a lot of media attention. Nevertheless, they can only be a part of a market entry strategy. Winning the race for the Chinese consumer requires engaging with the Chinese fan base 365 days a year – online and offline. Like other European competitors (e.g. FC Barcelona in Hong Kong or Manchester City in Beijing), the club opened an office in Shanghai. However, FC Bayern founded an own Chinese legal entity, which made it a pioneer compared to its European peers. In addition, the Bavarians built their own infrastructure for e-commerce, rather than give licenses to external service providers in China. The local team consciously invested in extensive product descriptions, special promotions and campaigns, player-specific content through special sub-sites, customer hot lines/chats, and put a lot of emphasis on product originality, quality and variety with a strong focus on the colour red. Additionally, the club decided to open an official online flagship store on Alibaba’s Tmall, China’s dominating e-commerce platform, which had already existing partnership of Tmall with large brands such as Apple or Adidas. Although Bayern Munich gave the logistics service to its existing partner DHL, it keeps control of the products and prices as well as the design of the stores to fully leverage the club’s competencies and experience. Unlike other clubs, Bayern Munich carefully selects its partners, always having in mind that the club wants to keep true to its core. Long-term partners and relationships are key to this strategy. Rather than switching major sponsors every few years, FC Bayern prefers sustainable deals with most of its partners that are not easily replicable for competitors. For example, the club can look back on a 60-year partnership with Adidas, a 40-year partnership with Coca-Cola or a 15-year partnership with Audi. Making systematic use of these long-term global partnerships have been of major importance for Bayern Munich’s market entry in China. Moreover, FC Bayern focused on fostering local partnerships with Chinese soccer schools. Given that the club’s youth academy had nurtured five World Cup champions in recent years, the Bavarians want to take advantage of the existing training expertise, coaches and coaching facilities (e.g., specific courses for Chinese junior coaches). Although many investors have knocked on their door in China, rather than rush in, Bayern decided to be patient and consider the best approach to take. As a first step, the club opened a soccer academy in Qingdao in 2016. Other plans are far advanced. For example, FCB recently announced their plans to build a soccer school in Shenzhen. That 5-year deal includes agreements on the training and supervision of coaches, a continued knowledge exchange as well as joint training camps. Compared to its competitors FC Bayern’s local team in Shanghai is focused on brand building rather than sole sales activities. The idea is evidently to position the club’s identity in China before engaging in extensive sales efforts. Thereby, communication is key. It is clearly adapted to the Chinese consumer behaviour through tailored stories, incentivizing interaction between the customers and a clear social media strategy on Chinese platforms such as Sina Weibo or WeChat. Although all of these brand building communication efforts are centred around the club’s sporting success, individual star player content, and the club’s Bavarian tradition and origin, Bayern wants to provide self-generated, unique and local content. The goal is to build a strong brand in China, that it is largely independent of the club’s sporting success. Therefore, a dedicated native speaking team takes care of individual content for FC Bayern’s website, club-TV and social media accounts in China. Prof. Dr Sascha L. Schmidt is Director of the Center for Sports and Management at WHU – Otto Beisheim School of Management and Fellow of the China Soccer Observatory. He tweets @ProfSLS and you can connect with him on LinkedIn. Image Credit: CC by 史莱克/Flickr. Lakhani, K., Schmidt, S. L., Norris, M., & Herman, K. (2016). 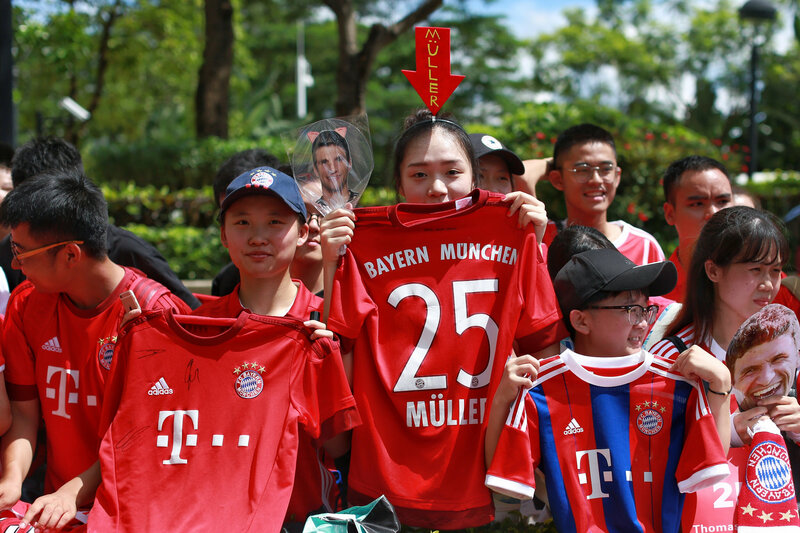 Bayern Munich in China, HBS. No. 9-617-025. 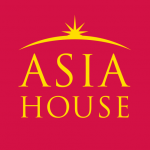 Boston, MA: Harvard Business School Publishing. What Explains Rising Islamism in Indonesia?